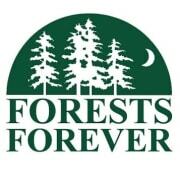 Forests Forever was founded in 1989 during the historic campaign to save the Headwaters ancient redwood forest in Humboldt County, California. Our efforts helped galvanize the broad-based public awareness and outcry that led to that and other forest victories across the state. For more than 25 years we have been rallying Californians in defense of the state’s 17 million acres of woodland ecosystems and watersheds. We engage in year-round education, grassroots organizing and executive-branch and legislative advocacy. Forests Forever accepts donations. Donate Now. Would you recommend Forests Forever?